Everything about your life is personal to you. With decades of experience, specialized, advanced degrees in taxation, attentive ears and creativity, CPMT, Atlanta GA estate planning attorneys, offers an unmatched ability to help you plan your affairs in a thoughtful, detailed manner, especially tailored for you and your family. Having guided multiple generations of families through planning related to major life cycle events, we understand your concerns and want to help you ensure that your assets are preserved, your loved ones are protected and your legacy is secure. 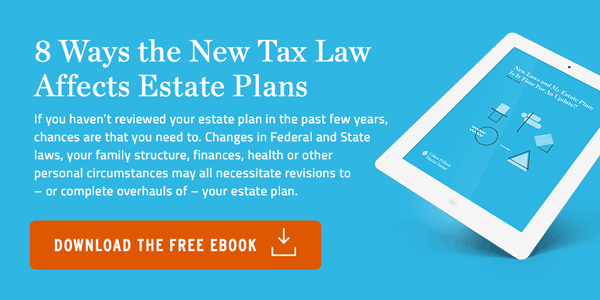 Whether you are looking to prepare for illness or incapacity, plan for the transfer of your assets, minimize your tax burden, implement a personal strategy, prepare for marriage or create the framework for your legacy, CPMT nationally-renowned estate planning attorneys know how to devise innovative solutions to accomplish your goals. Visit with us to discuss the management of your health and your assets during your lifetime through the use of trusts, pre and postnuptial agreements, advance directives for health care and durable financial powers of attorney. Let us help you to craft a plan for the disposition of your property after you pass in your last will and testament and revocable trust. Allow us to implement tax-saving strategies and provide direction for your family, friends and charities with sophisticated gift planning and the creation of irrevocable trusts. Consult with us about modification of stale trusts to ensure that the true intent of the documents is carried out with appropriate flexibility. With more than forty years of experience, advanced degrees in taxation, skill, patience and empathy, we deliver expert guidance, customized estate strategies, and peace of mind to our clients. To us, it’s personal too. Contact our wealth planning attorneys today for information about your will, tax planning, trusts and more. We look forward to hearing from you!